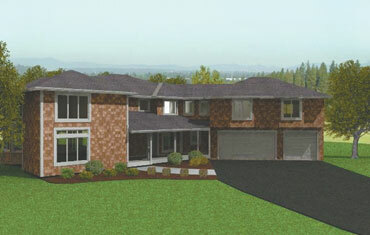 Parade of Homes Remodelors Showcase 2008. Remodel Multi-room, Kitchen, Bath Shakopee, MN. Like your home and neighborhood but need more room for an expanding family? This beautiful second-floor addition adds two additional bedrooms and a full bath for the children. The large master suite features two walk-in closets, exercise area, master bath with spacious walk-in shower, and a furniture-style double-bowl vanity. To complete this beautiful home, a 200-gallon aquarium was built into the entryway/kitchen.